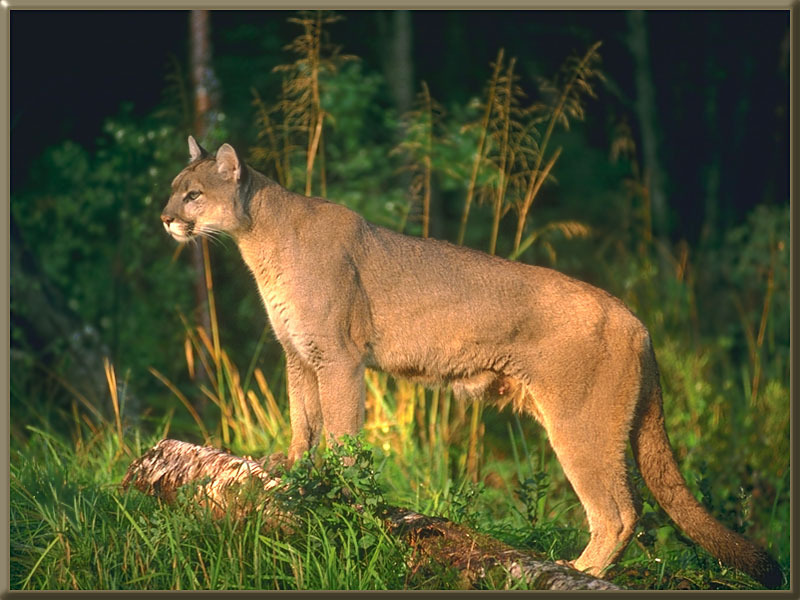 Animal Wildlife | Cougar | The cougar is native to the Americas, particularly south America and western North America and is often known by other names such as mountain lion, puma and panther. Cougars can be found mainly in the mountain regions of Canada and Mexico, but as the name cougar is often used to describe an un-spotted leopard, cougars are also found in Asia and Africa. The cougar is the fourth biggest feline in the world behind the lion, tiger and jaguar, making the cougar the second largest cat in the Americas. The cougar has longer back than front legs and a long heavy body. 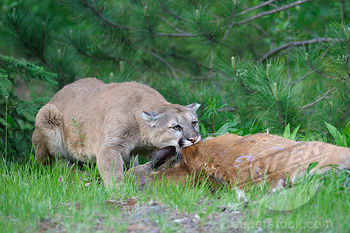 Cougars prey on large mammals such as moose, deer, elk and stray wolves and can often go for long periods of time without food. 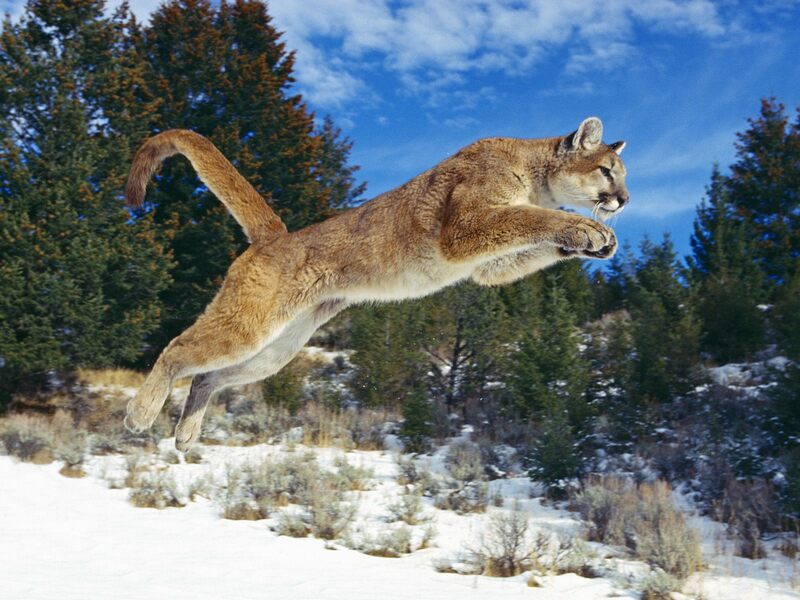 Cougars are also well known for their amazing ability to jump up to 30ft. 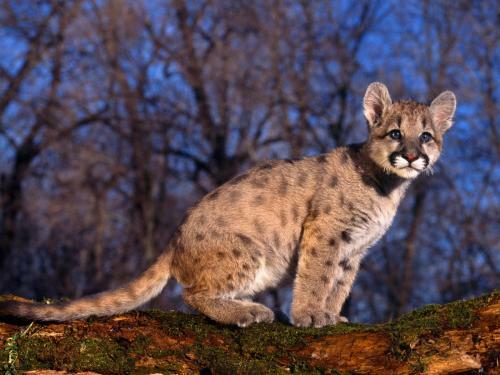 Cougars tend to have between 1 and 4 cubs, generally during the spring and summer time when the adult cougars are hunting well again after the harsh winters. 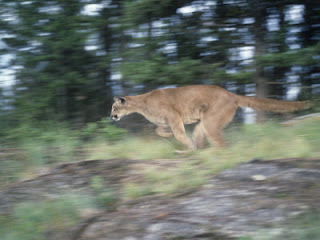 A cougar typically lives until its about 20 years old.